Having just driven the 2019 Aston Martin DBS Superleggera, we can confidently say we’re big fans. Not only is it jaw-droppingly gorgeous, it has the right handling and performance to make it one of the most desirable grand tourers on the market. But even though our only real complaint is the unobtainable price, it sounds like Aston Martin plans to make the DBS Superleggera even better. 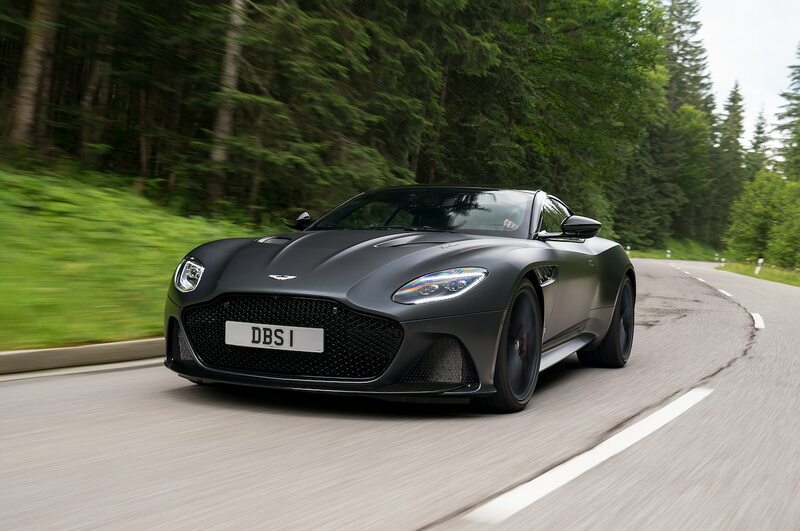 According to Australia’s Motoring, there’s a good chance we’ll soon see a version of the DBS that’s been reworked by AMR, Aston’s newly formed performance sub-brand. Like we saw with the 2019 DB11 AMR, expect the DBS Superleggera AMR to be even more powerful and agile than the regular version. And while we don’t have definite confirmation just yet, it sure sounds like it’s essentially a done deal. “We produced an AMR version of the previous Vantage and have an AMR Rapide and DB11, so it’s safe to assume a DBS Superleggera is coming,” an unnamed Aston Martin executive told Motoring. The same source also told the Australian outlet that the new DBS had been developed from the beginning with an AMR version in mind. Changes will most likely include a sport-tuned suspension for better handling, the liberal use of carbon fiber to reduce weight, and an engine tuned to make about 750 hp. According to Motoring’s source, that’s the most power the 5.2-liter twin-turbo V-12 can make without requiring upgraded internal components. The added grunt and lower curb weight should make the DBS quicker than it already is, but it sounds like the team will mostly be focused on improving how it handles. Hopefully, that means it will also get active transaxle mounts that reduce the rocking we felt. There’s no word on U.S. pricing yet, but since the regular DBS Superleggera starts around $308,000, don’t be surprised if the AMR comes in around $350,000.